I love my JP FSW 101 carbon. It’s an awesome bump and jump board. Nevertheless, I was keen to compare it against the new trend of board design. So here is my honest comparison of the new parallel rail board Vs my favourite board in my quiver. I used both on the same day - swapping between them ten times. The conditions were between “almost planning” to “fully powered-up” on my 5.3 severne blade pro. I am 74kg advanced windsurfer. (unless everyone around me is looping in which case I’m intermediate ;) I ride 100% serverne rigs but have 5 boards – all different brands. So no bias here. Some of these results are surprising given the fanatic is 6 litres smaller. Early planning: The Fanatic gets on the plane earlier. When I look down at the board, just before I’m planning, I see that all of the bottom of the board is wet. It is all working to get me on the plane. The JP has a fair bit of board poking up in the air doing nothing. On the fanatic, I could also stay in the foot straps through lulls without sinking the board. There were four other guys out that day. They all pulled away from the fanatic. But on the JP, I overtook them. Therefore the fanatic is slower. Maybe because it has 3 fins? When slugging, the fanatic goes upwind better than the JP. Maybe because of the parallel rails. When planning it goes upwind the same as the JP, which is good. The JP is beautiful to jybe. The fanatic is better. Both boards allow a change of radius mid turn, which make both easy to recover a jybe gone wrong. However, the fanatic is easier to plane out of a jybe. This surprised me. The fanatic is much easier to tack. When I stuff up a tack, it is usually because my foot lands in some weird spot on the nose when I jump around. The square nose and extra width at the front is very forgiving on foot placement. I was nailing tacks all day! You can’t drive off the back foot on the fanatic or you will spin out. This goes for all multi fin boards. This didn't concern me because it was so easy to recover the spin out. Slam jybes and upwind 360s were also very easy on the fanatic thanks to the looseness of the tail in low speed manoeuvres. This makes me think that it might go well in the top turn off the lip of a wave. Both are lovely to jump and very similar feel in the air. However the fanatic lands softer. Maybe because its smaller. Don't know. The fanatic is more comfortable in the chop. It's a smooth ride. Verdict…. I have a JP FSW 101 carbon 2013 for sale. Thank you Paul at Zu boardsports for lending me your board. Thanks for the review. What wind range do you plan on using it in? What size sails? Great review - one of the most methodical and useful reviews I've read here. i will ride the 105 from 8 knots to 20knots. ( I actually like light wind. It improves my heli tacking and 360s etc) I will then jump down to the 87l board. my biggest sail is a 6.0 gator but my 5.3 blade pro gets planning earlier so I never use the gator. I was going to buy a 6.5 unit but they are not making them any more. So I'm on the lookout for a 6.5m free ride sail as my biggest sail. 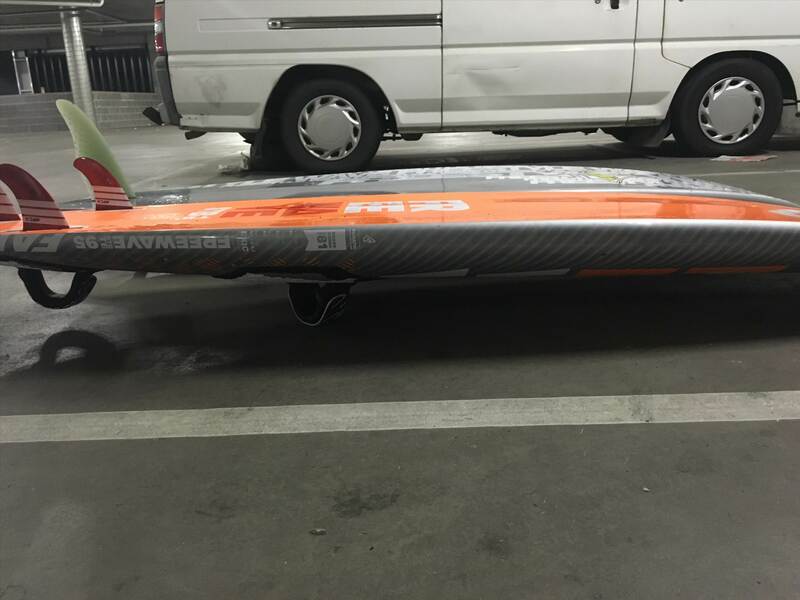 At 74 kgs it is my bigger board for this season. Purchased for mainly onshore sailing and bump and jump. Yes it is easily as quick to plane for me as any 90 lite board i have owned . I was worried that the 85 might of slowed me down / not got up and planed as quick as my usual 90-95 but no worries there. The biggest sail i own is 5.3. First few goes were in winter at our local spot of flat water and i was more than impressed with its get up and go , upwind ability and pop for jumps. The wider nose was a bonus with some tricks like vulcans and grubbies. Last week i tried it in mushy down the line surf in usual gusty conditions that would of preferred the 90-95 litres. No worriesat all with planing up as quick as a bigger board. I had tried a 2014 tobou pocket 93 the week before and this was the same if not quicker to get going. Jumps i could not really comment as it was gusty, but if you go by flat water jumping it will be great.- loops, well they all talk about swing weight etc-- probably the same if you ask me. The nice pop you get off small waves is definitely a bonus. Surfing .. 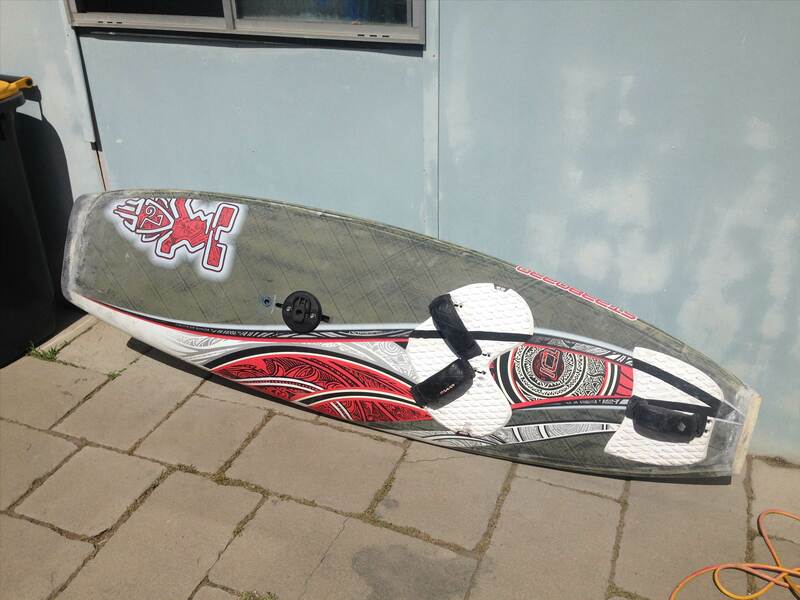 I also have a Jp thruster quad 83, i would say that is definately a tighter, looser turn than the fanatic, but it is a more pure wave board after all . The great thing about the stubby is the speed you can keep in your turn and the nice cutback/throw you get of the the top turn.. I imagine there is quite a bit of trimming that can be obtained with foot strap position and mast track, giving better surf performance. I am sure to use this board in more of these lighter side shore conditions. Dont compare these boards to the surf models as the stubby surf 88 and 77, different boards for different conditions. Great review, pretty hard to find a FSW board that seems better than the iconic JP FSW. One question, why a big freeride sail? There are some big size wave sails available, e.g. Goya Banzai 6.3? Or Blade 6.2? So hang on, you tested the 95, but will buy the 105? I used a 2016 Stubby 88 in Mauritius last month. 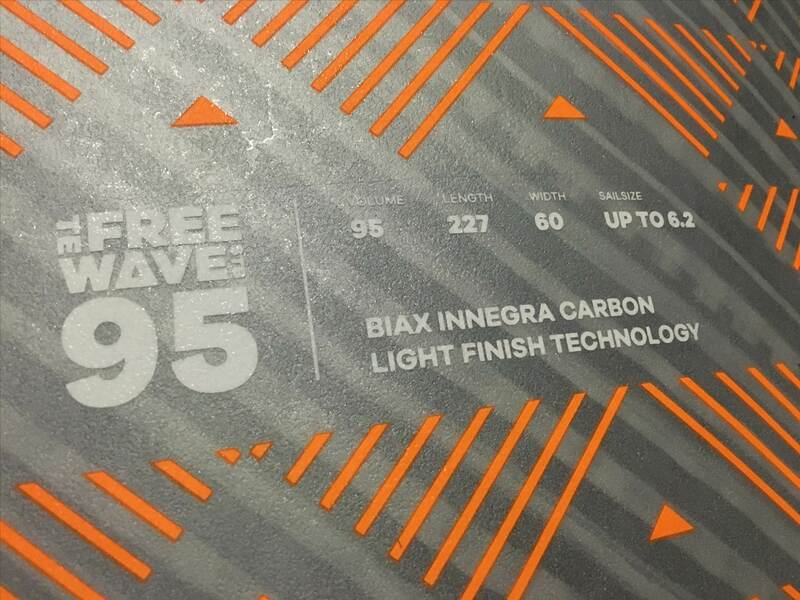 It was the only pure wave board I've ever sailed, so I can only compare it to FSWs and freestyles. I found the Freewave 76 and 86 easier (both set up as tri-fins). I struggled to keep it tracking in a straight line. I had intended to buy one when I got back, but I'm not so sure anymore. One instructor there told me that these boards are the future, the nose is useless and they are like the easiest wave boards in existence. Another instructor told me that they are great, but too radical for a wave novice and I should get something like a Tri-wave when I get back. Unfortunately I never got the chance to try a tri-wave over there. I did sail pure freestyles quite a lot over there - Skate 100 and Skate 94. The 94 is supposedly more technical, but even that board is easier than any FSW or free ride that I've ever sailed. I liked them so much, that when I got back to Melbourne, I bought a beat-up 2014 Skate 101. These boards are like corks. Not great in chop, but so easy to gybe and tack. i have and still own fantaic freestyle, triwave and fsw standard and stubby fsw. the stubby 88 you tested is a waveboard and you purchased a pure freestyle board? 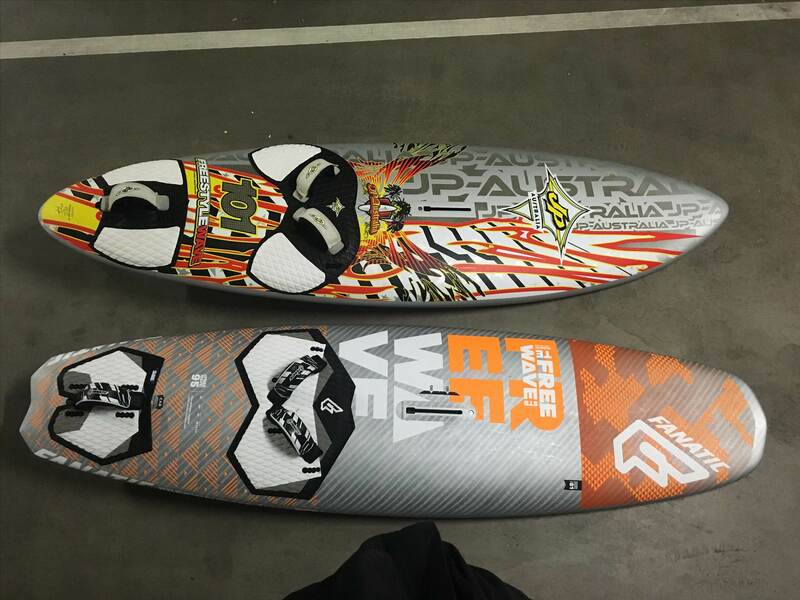 wave boards like the stubby 88 and freestyle 101 etc are different boards not in this class. hope you get some strong advice on your next purchase. No I bought the skate just as light wind board to help me perfect gybes and tacks (it was only 400 bucks). I have an old school 85l fsw for the bay and high wind. I'm still on the lookout for a wave board for both waves and to replace my fsw in the bay. I had intended to get a 77l stubby, but I'm no longer sure. From what I gather from watching the Fanatic videos, their advice is if you already have a FSW and want to spend more time in the waves then the Fanatic FSW Stubby is the next step, i.e. slightly better in the waves than the traditional FSW. They also say their Tri-wave is the entry level pure wave board, while the Wave Stubby is for more advanced wave sailors. Based on what you've said, the Wave Stubby doesn't sound like the right board for you. The Stubby FSW or the Tri-wave sound like better options. I would go the 85 stubby fsw, i think they are spot on , exactly like philn says. As i have a 85 stubby fswyou can give me a ring a ask about it if you want ( message me for number), perhaps the local Fanatic dealer in vic has a demo 85? i have only been in the waves for a couple years. I started on FSW boards. They are ok to get your confidence up. But as soon as you want to carve harder or turn sharper, or slide on the lip, they will let you down. i had the jp 101 fsw. i added a Goya quad 118 as my first wave board. Too big for me. Sold it. i bought a 92 starboard nuevo. i bought a 80 taboo pocket just two weeks ago. so now I have two wave boards and two bay boards. im swapping the 101 jpFSW for the fanatic FSW stubby 105.
i think i will ditch the 86l 3s because I expect the new tabou pocket will out perform it in the bay. why a 105 and not a 95? Two reasons.... It will be my big bay board. 95 is just too close to 87. and hopefully, if it turns well in the waves, it will be my 10knot wave board. You commented it does not turn as sharp as a wave board. I would expect this. 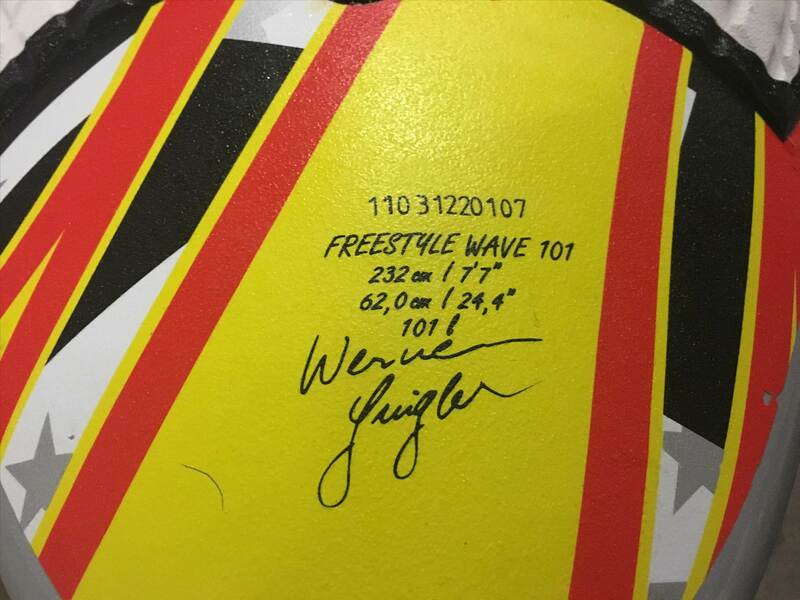 But how does it compare with a FSW on the face of the wave? The bottom turn to me is pretty much the same as a traditional shape fsw. The top turn is a lot snappier. I find the wider nose kind of throws you round on the top turn. I just like the speed you get, easily planing as quick as a standard 90, getting out through the surf in lighter winds. I weigh 73. I have only used it in mushy head high surf. If it gets windier I would jump on my thruster quad 83 as that has a very fine tail and really is looser. Plan on purchasing a 78 stubby shape so I am convinced!! Sailed my new 2017 stubby te wave 77 today for the first time, just onshore so not much to get into, but initial impressions were great. Quick to plane, really positive in gybes, and a really clean release when jumping. Short square nose is a bit weird when being pulled forward thru white water but not hard to recover from what seems like an inevitable face plant. Straps are good, really far apart though. Compared to a nuevo, it seems more balanced and refined all round. No comment yet on wave riding, but the gybing impressions were good. Worth the money I think, thanks Dexter Surf! Let me guess... you have a van. I've only been windsurfing for a couple of years and only learned to carve gybe last month (and reliably only on the port tack, but that's all I need in Elwood in a Southerly, right?) What attracted me to the stubbies is that they are so bloody short they will fit in my small car. And it seems that stubbies are the future. Tabou 3S is a very popular board, yet they stubbied it without leaving the old shape in the line-up for a year like Fanatic did with their freewave or Tabou itself with the Pocket Wave. So they must believe in the concept. Having only sailed the Stubby 88... do all the wave boards have the straps so far apart? you need some professional advice, visit your local shop and ask to speak to the expert. i believe that be SHQ or ZU..
Definitely dont spend a penny on a board until you get correct opinion. you can ring me if you want, i have sailed the boards you talk of. Guys, Please don't judge the STUBBY FW as the same board as the STUBBY TE wave. Yes the nose and outline seem similar, but that's about it. The Stubby wave is a pure wave board. There is a reason why it doesn't track straight, its because is made to turn on a wave. Don't get me wrong i rode the Stubby 88 all last season, as a one board and it was epic, but it is very different to the Stubby FW. If your looking for a board to do ore onshore and bump n jump, then go the FW. If your looking for a pure wave board, that you'll occasional use in the bay or for onshore stuff, then go the stubby TE wave.